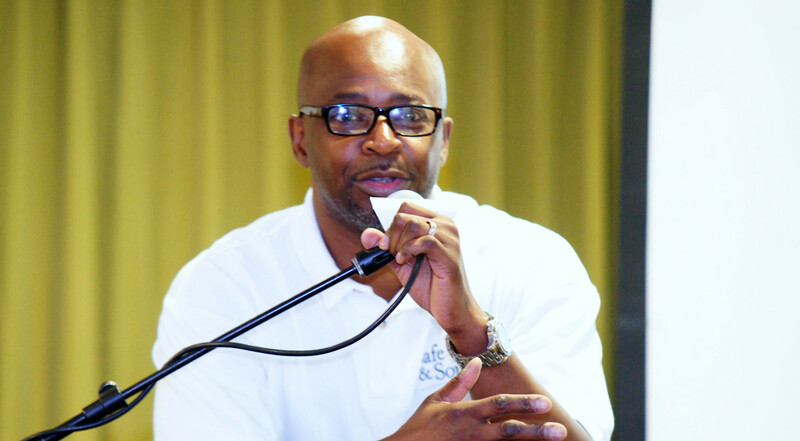 The Jamaicans Abroad Helping Jamaicans at Home (JAHJAH) Foundation is a nonprofit organization that has been participating in the upliftment of Jamaica since 2007 through the vision of Dr. Trevor Dixon, CEO/Founder (picture above). In 2011, the foundation was officially registered as a non-profit and has also since received 5013c status. The mission of the JAHJAH Foundation is to engage the Jamaican Diaspora, and friends of Jamaica all around the world, to assist with the development of Jamaica. We concentrate our philanthropic efforts in the areas of health, social and human services, and education, through partnerships with Jamaica’s public hospitals, schools, and communities. receiving country benefits from the knowledge and experiences of the skilled individuals. It is time for those who have left Jamaica to look back and give a helping hand. No one knows what the future holds, so a better Jamaica can only be best for all of us. There are more people of Jamaican origin living outside of Jamaica than those living in Jamaica. 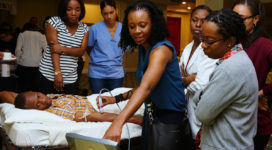 Some experts report that there has been a “brain drain” in Jamaica where some of our brightest minds leave the island, usually for economic reasons. Brain drain often results in the de-skilling of the workforce in the country of origin, while the receiving country benefits from the knowledge and experiences of the skilled individuals. It is time for those who have left Jamaica to look back and give a helping hand. No one knows what the future holds, so a better Jamaica can only be best for all of us. Conducting annual conferences and workshops, volunteers who have been trained in best practices overseas share information and technology with public healthcare professionals. Building of infrastructure, such as a ten (10) room urgent care centre in Ulster Spring in upper Trelawny. Providing a 40ft container space and donating Ultra Sound machines to set up a Sonocare Unit at the Savanna La Mar Public General Hospital. Renovating 4 rooms in the Accident and Emergency area at the Kingston Public Hospital. Creating a Wellness Centre and sick bay for the Hanbury Children’s Home in Christiana. Annual community and school health fairs. Donating school supplies, equipment and furniture at schools across the island, such as the Bryce Primary School in Manchester and the Mango Hall Basic School in Little London, Westmoreland. 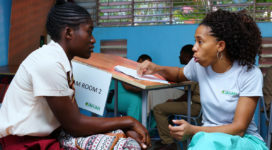 We enable our partners and supporters to make a positive difference in people’s lives, by assisting public hospitals and health centers in Jamaica that are in need. Our medical mission teams invariably return home feeling that they received more than they gave. Let’s start re-investing in Jamaica. Thank you.